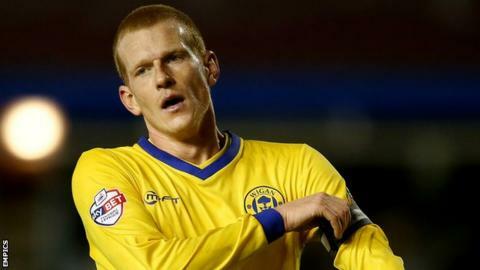 Watford have signed midfielder Ben Watson from fellow Championship side Wigan for an undisclosed fee. The 29-year-old has featured 10 times since recovering from the double leg break he suffered last season. He scored the last-minute winner in the 2013 FA Cup final as the Latics beat Manchester City at Wembley to claim their only major honour to date. The Hornets have also signed defender Vujadin Savic, who was released by French club Bordeaux last summer. The 24-year-old Serb has been on trial at Vicarage Road and has agreed a contract to the end of the season. Former Crystal Palace man Watson was out of contract at the DW Stadium in the summer. "He's a London boy and the family will be moving back down there," Latics boss Malky Mackay told BBC Radio Manchester. Watford have not stated the length of his new deal, but both he and Savic are available to face Blackpool on Saturday. Mackay has also said the Latics have agreed a fee with Major League Soccer side Chicago Fire to sell Scotland international Shaun Maloney.